Jerusalem's current walls were built under the orders of Suleiman the Magnificent between the years 1537 and 1541. Some portions were built over the ancient walls from 2,000 years ago. 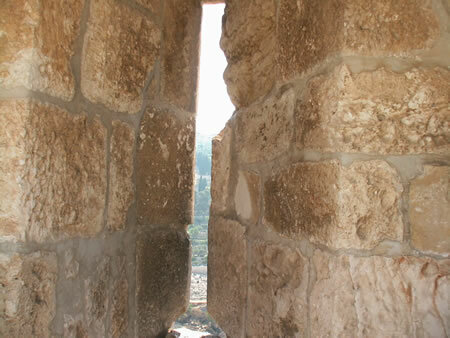 The walls were built to prevent invasions from local tribes and to discourage another crusade by Christians from Europe. They even withstood artillery fire during the war of 1948. 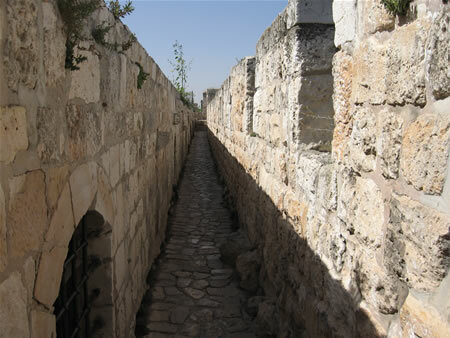 The walls of the Old City are 40 feet high and 3.8 km or 2.36 miles around. 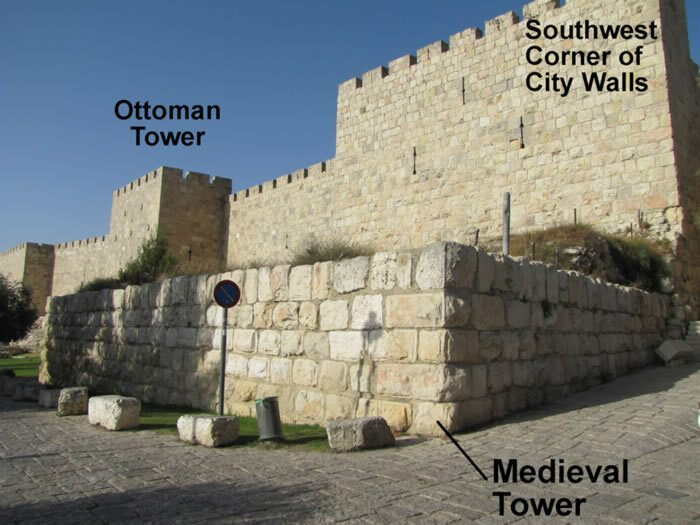 The Ottoman Turkish sultan had wanted the walls to enclose the southern City of David also, but the architects failed to include Mount Zion or the City of David. As a result, Suleiman had the architects beheaded. 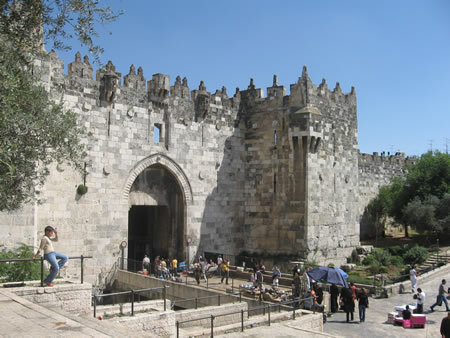 There are eight gates in the city walls today: Jaffa Gate, New Gate, Damascus Gate, Herod Gate, Lions Gate, Golden (Eastern) Gate, Dung Gate and Zion Gate. The Old City is divided into four quarters: Armenian, Jewish, Muslim and Christian. The enclosed area is called "The Old City.” The modern city of Jerusalem is much larger and includes a wider variety of business and residential areas than the Old City. The graves of the two architects who were responsible for building the wall around Jerusalem. They failed to include Mount Zion which resulted in their decapitation by Suleiman the Magnificent in 1541 AD. 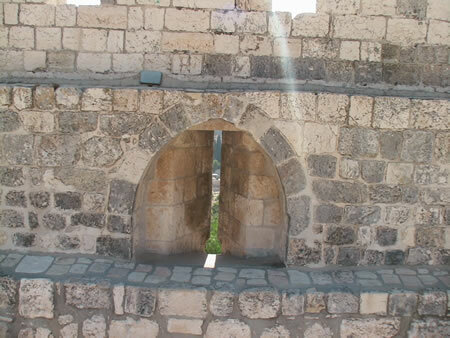 Arrows and bullets were fired from these loopholes, or arrow loops, which are narrow vertical windows in the wall. Looking through an arrow loop from the Temple Mount into the Kidron Valley at a tomb. 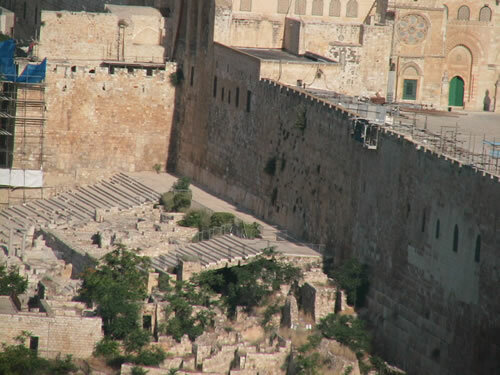 Notice the road at the base of the Temple Mount Wall that sits above the Kidron Valley. 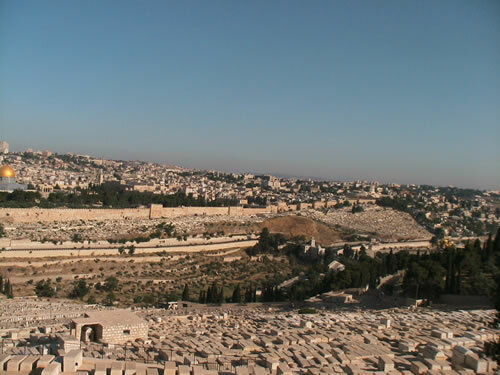 The Mount of Olives is in the background. A machicolation, typical of castles and fortifications fo the Middle Ages, where hot oil or rocks were dropped on the invading enemy below. smoke would be extremely irritating to the eyes and throats of those who were heating it as a defensive weapon. They (Romans) began already to get upon the wall. Then did Josephus take necessity for his counselor in this utmost distress, and gave orders to pour scalding oil upon those whose shields protected them ...they (Jews) brought being a great quantity also, and poured it on all sides upon the Romans, and they threw down their vessels as they were still hissing from the heat of the fire: this so burnt the Romans, that it dispersed that united band, who now tumbled down from the wall with horrid pains, for the oil did easily run down the whole body from head to foot, under their entire armor, and fed upon their flesh like flame itself. Looking south along the west wall of the Old City from the Citadel. The Hinnom Valley is on the right. This is the west wall of the Old City by Jaffa Gate. 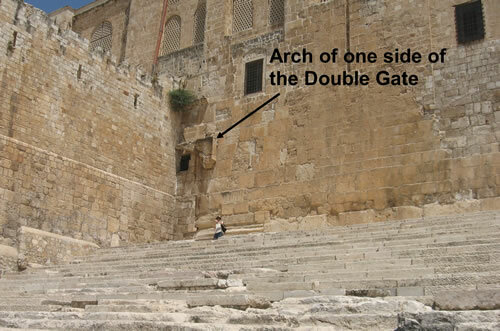 Jaffa Gate is on the right side of the photo with an opening into the "L" shaped entry just around the corner to the left. This is a Turkish, or Ottoman, Tower built by Suleiman. Notice the outcropping of the bedrock under the tower. the ground. Each period that built or rebuilt the walls tended to follow the same wall line on the bedrock. been brought here for his trial before Herod Antipas in 30 AD. BC, which was reinforced in the same location by Herod in 20 BC. the other side of the Hinnom Valley. on the left). 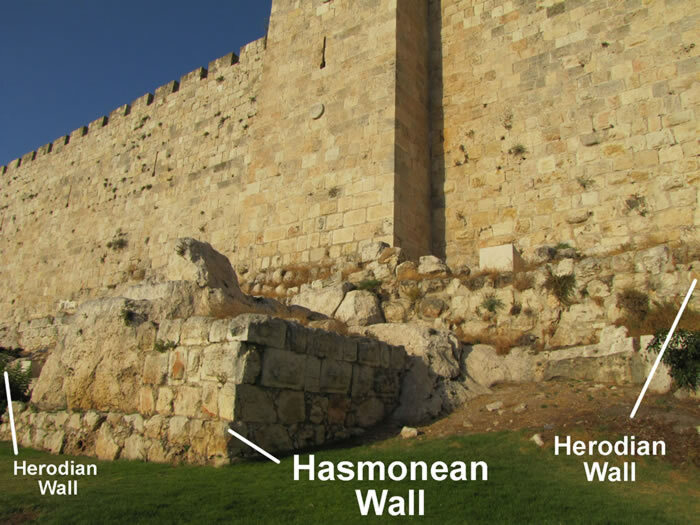 Two courses of Hasmonean or Herodian stones still sit on the scarp of rock that projects from the bedrock. The citadel located just south of the Joppa Gate. The citadel sets inside the west wall of the Old City. been located to the right on the inside of the wall. 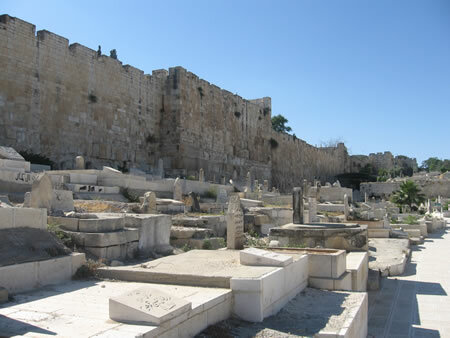 This is the south wall of the Old City looking east. 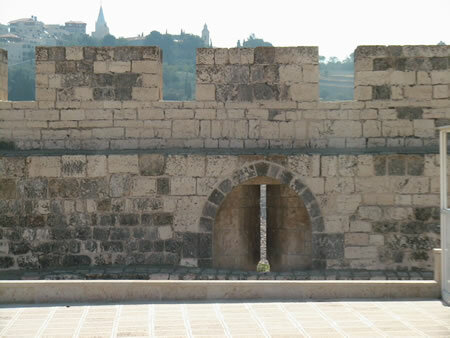 The south wall has two gates: Zion Gate and Dung Gate. 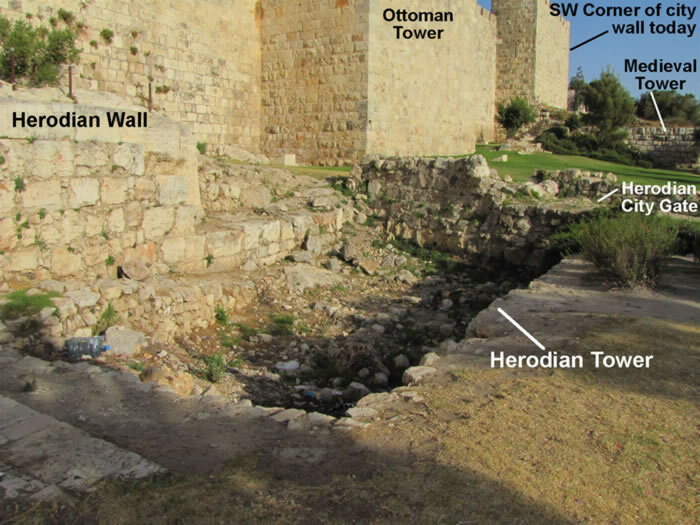 A Herodian Aqueduct remains along the southern wall of the city. wall of the Old City. Toni is searching higher up on the ancient city wall for interesting remains. This is the southeast corner of the Nea Church (2) with the south wall of the Old City built over the top of its previous remains. Herodian Residences along the outside of the south wall of the Old City Jerusalem. 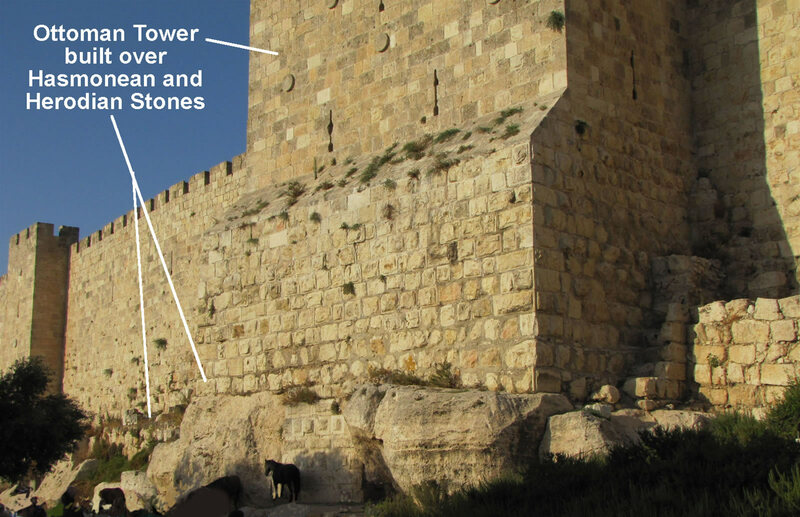 A medieval tower (7) sits by the south wall of the Old City with the Byzantine paving stones still visible. The Dung Gate is to the right (east) of this photo. and continues down to the Pool of Siloam. Mikvah's or Jewish ritual bathes from the first century. 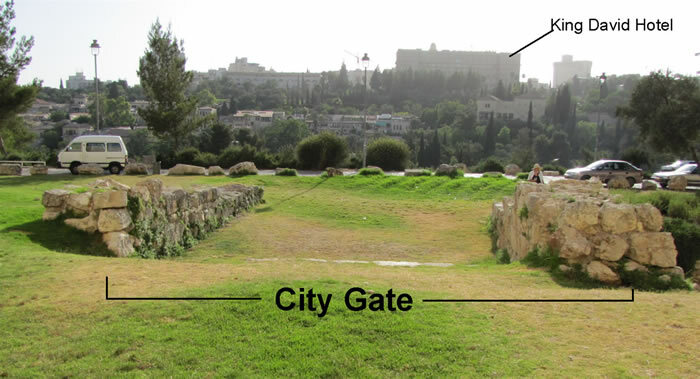 The southern end of the Temple Mount serves as the southeast portion of the Old City's Walls. 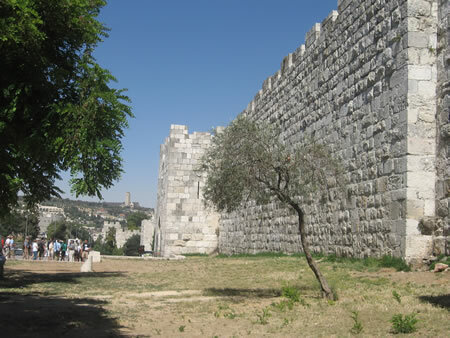 Much of the north wall is built on bedrock that extends from the north side of Mount Moriah. 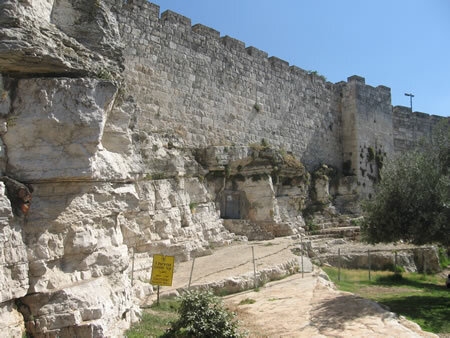 The north wall built on the bedrock the extends from Mount Moriah. 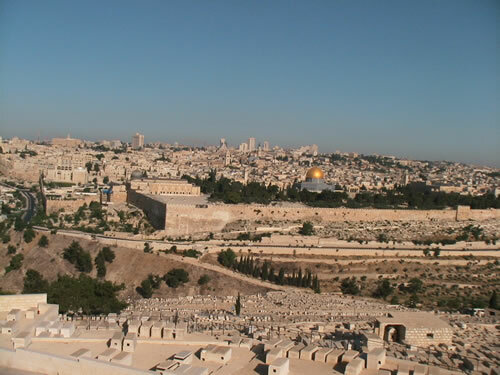 The east wall faces the Kidron Valley and the Mount of Olives. 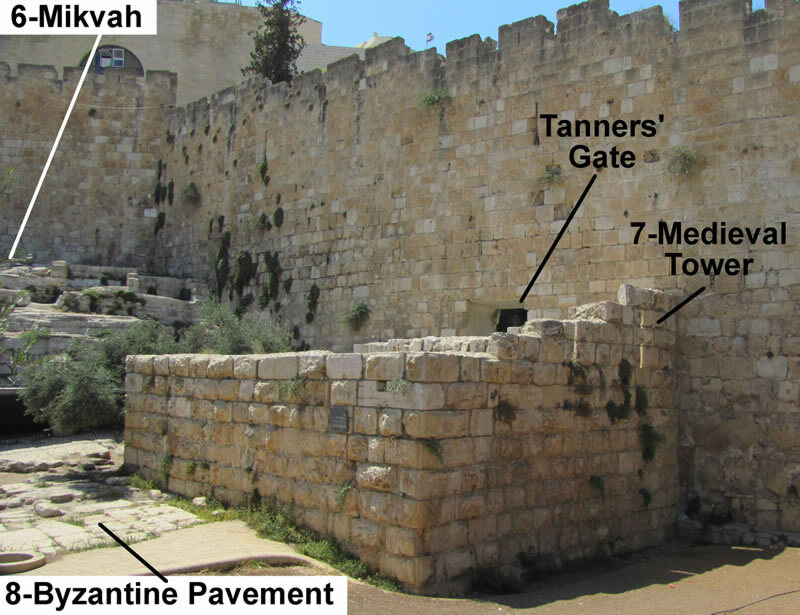 The Eastern Gate (Golden Gate) and the Lion's Gate (Stephen's Gate) are located in the east wall of the Old City. and Toni is the Kidron Valley. judgment will be executed here by their Messiah. Walking along the top of the walls of the Old City Jerusalem. Watch the video - Running around the walls of Jerusalem with Galyn PART ONE. Watch the video - Running around the walls of Jerusalem with Galyn PART TWO. Watch the video - Running around the walls of Jerusalem with Galyn PART THREE. 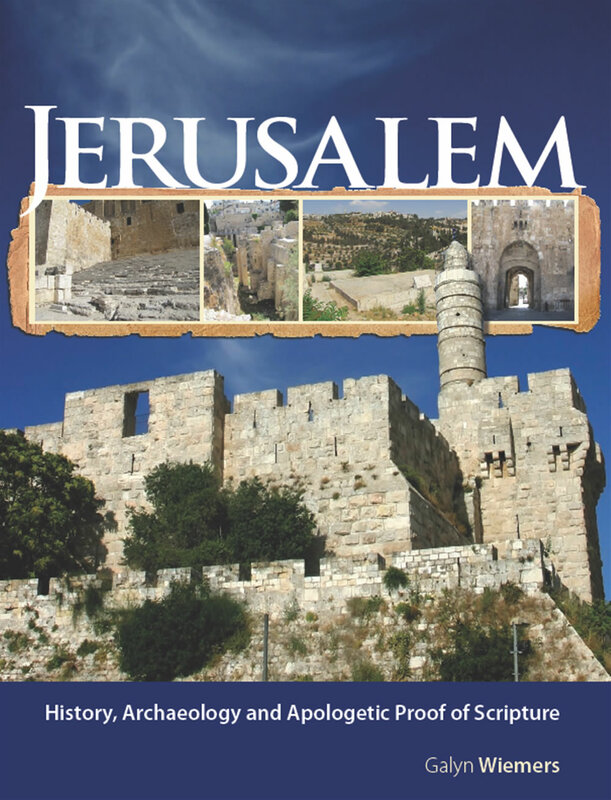 Watch the video - Running around the walls of Jerusalem with Galyn PART FOUR.